1960’s Henkel Harris Server, Pair Railroad Lamps and a Gumball Machine! 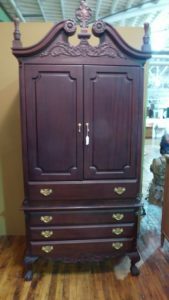 Quality Armoire, Booth 913 – $395.00. 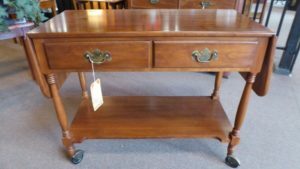 1960’s Henkel Harris Server – Booth 32s, $345.00. 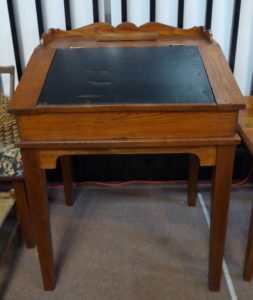 School Desk, Booth 59 – $260.00. 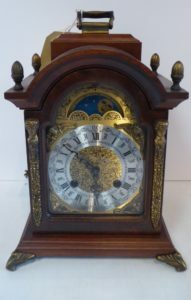 Dutch Mantel Clock, Both 59 – $235.00. 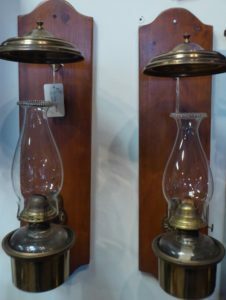 Pair Railway Oil Station Lamps – Booth 59, $175.00. 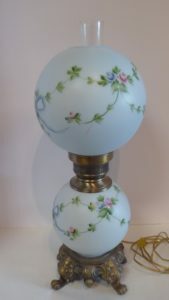 Vintage Electric Lamp – Dual Lights – Booth 32, $165.00. 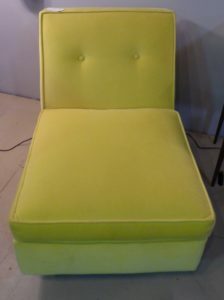 Bright Yellow Mid Century Lounge Chair – Booth 318, $275.00. 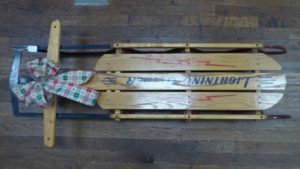 Lightning Glider Sled – Booth 26, $52.00. 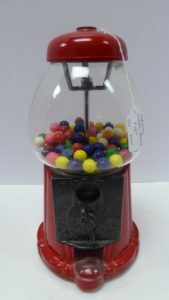 Carousel Gumball Machine – Booth 26, $28.00. 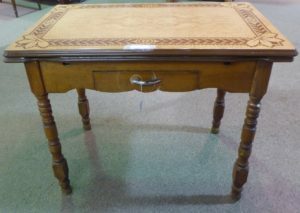 Enamel Top Table – Booth 316 – $125.00. 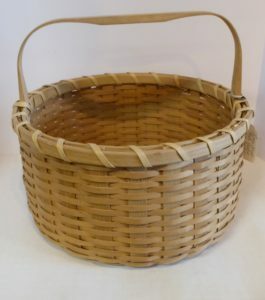 Large Splint Oak Basket – Booth 32s, $52.00. ‹ Warm Winter Quilts, Wooden Cash Register, and Clore Chairs!